In our Vieux Boucau surf school, we want you to have fun, progress your surfing level, and, of course, be safe in the water. From your first surf lesson in Vieux Boucau we will teach you the 3-step pop-up technique, rather than the method that involves using your knees. This ensures that you learn the correct technique from the off, and that your progress isn’t hindered further down the line. As well as teaching you the correct technique our instructors will also teach you about surfing etiquette and wave priority, as well as how to stay safe in the water. We believe this is important, not only so that you and your fellow surfers are safe during your lessons, but also so that when you go surfing after you’re holiday with us, you can enjoy the sport safely. 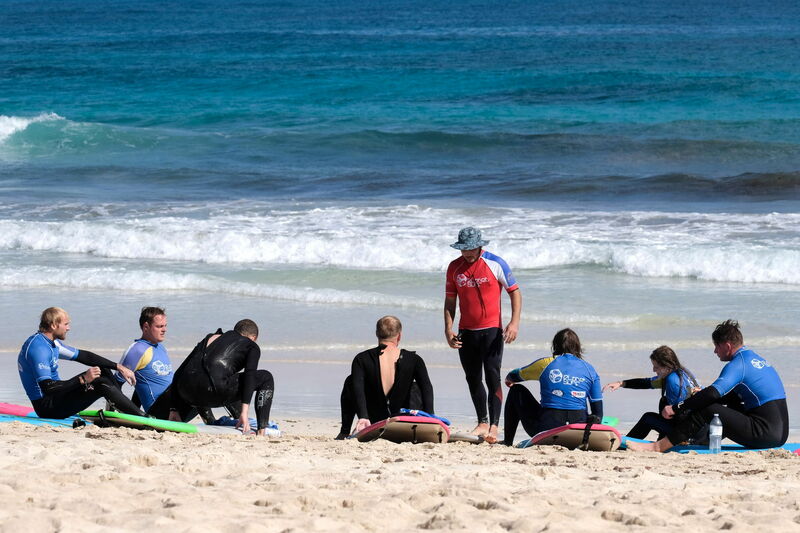 Every single one of our surf instructors not only has a worldwide acknowledged licence (FES, DWV, ISA, BSA, or FCS) to instruct and lifeguard, but they are all very good and highly experienced surfers themselves too. For us, this is very important. Any Planet Surf instructor who teaches you in Vieux Boucau not only wants to share their passion of the sport with you, but also is well educated in how to instruct properly and is a great surfer themselves. The founders of Planet Surf were raised in the Canary Islands, giving them an interest in the ocean and surfing from a young age. As such, we know what’s important in a surf school, and also that our Vieux Boucau camp provides it!